It’s 1941 and you’ve just returned from school to visit your father at his famous Jazz Pepper Club only to find that everyone has been petrified in a trance. Have they heard the wrong note? When a local sax-playing legend died, your father replaced him in the Dixie Peppers Band. Has he now been resurrected as a zombie with a thirst for revenge? 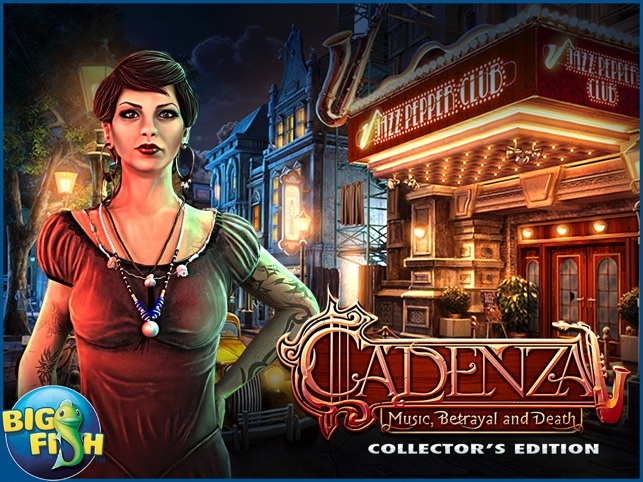 Dig deep into this mysterious case and hunt down the undead musician that may be behind all this madness! 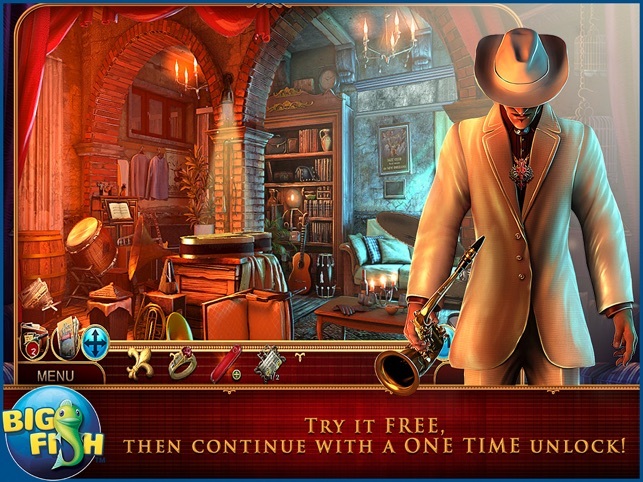 Take in the sights and sounds of the French Quarter as you hunt for clues within challenging hidden object scenes and interactive mini-games! 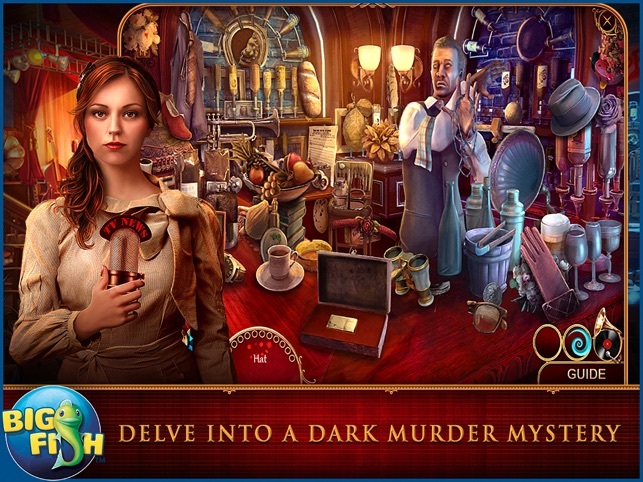 Follow the evidence that leads to a darker side of New Orleans to solve this tantalizing mystery! Keep an eye out for collectible music notes and morphing objects throughout your adventure! 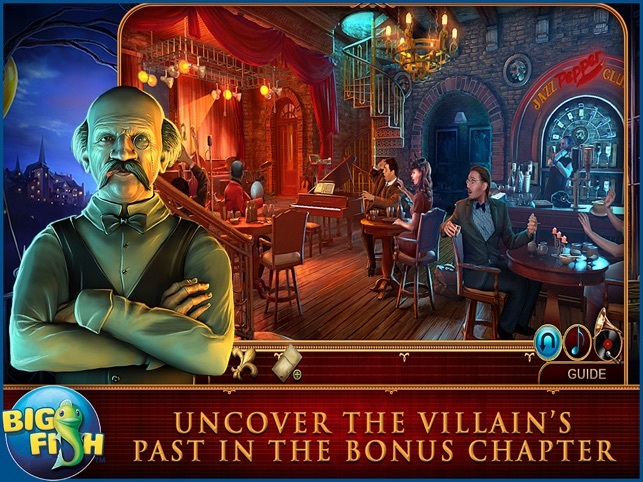 Enjoy exclusive extras such bonus mini-games, beautiful wallpapers, and intriguing concept art! Fabulous game. 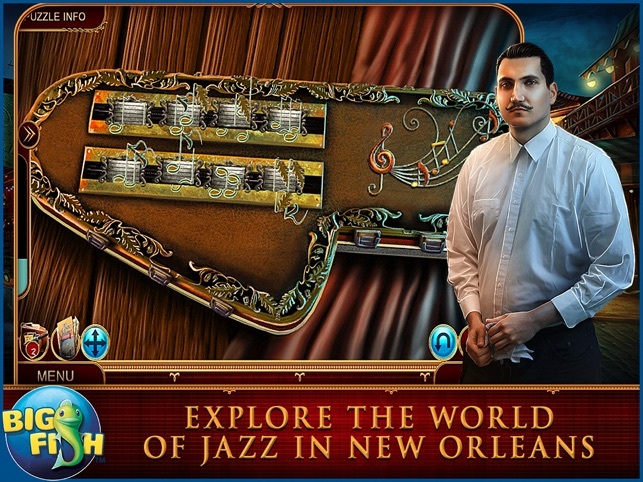 Gorgeous graphics depicting the New Orleans of the 40's, exciting cut scenes, instantaneous load between scenes. It was a very long game with a bonus chapter. There was a journal and you kept getting updated and clearly stated objectivesYou got a teleport map and labeled inventory. The HO scenes were very unusual, including pairs, putting objects back in place, silhouettes, and many other types. They were not boring at all! You had plus items to work with, and I like those because they are so interactive and different. The puzzles and mini-games were incredibly varied, and very unusual. You really had to wrack your brain, which some of the reviewers actually complained about. Then don't play, you morons! These games are supposed to make you use your heads! The only reason it didn't get 5 stars was that I had a bit of trouble following the story at times, and some of the games were so hard to manipulate that I had to skip them. 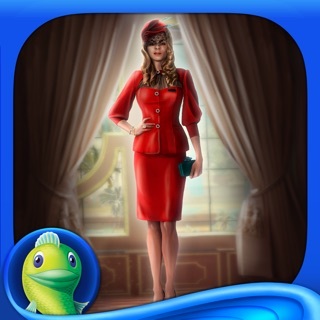 But all in all, BigFish, a fabulous game! Keep them coming. You have been doing great as of late! Dream Team, this was a must play game! Oh yeah, NO RATS either! Love to Snooper, Moonbeam, Nambr, Dracyy, Bunkie, Hossie, Blueflier, and lil' Jo! Hope you all are doing great! NOLA, Jazz, a crazed killer = les bon temps! Update: Wow. That was a long game. So bonus points for long playing time. And the same amount of points deducted for persnickety tapping spots (like on the candles in the tomb). And a few more deducted for a storyline that quite frankly, just fizzled out like a wet firecracker. But still -- for the change up in HOP games, for the challenging yet fun mini-games, for the different location and theme-y music, for the long playing time and just for its uniqueness, I will sick with 4 stars on the review, and recommend this game as a "buy." What a pleasant excursion from the castles, fairy lands, deserted towns and snowed-under villages. We're in New Orleans, in time for Mardi Gras. Laissez les bon temps rouler!! Okay, so I haven't yet done any more than the trial, and I'm off to purchase it shortly -- but Mad Games/Big Fish made magic with their last game (albeit some glitchy issues towards the end, which I hope hope hope doesn't happen here). So I write this to say -- lovely HOPs, mini games, graphics, voice overs, music, and music notes to find. If there are issues, rest assured, Blueflier will let you know. I am not a person to rave, but there is nothing about this game I didn't like, from the music (which I ALWAYS end up turning off, but not this time), to the storyline, to the twist on the HOS and puzzles, to the details the developers included in the game, including the ability to tell at a glance whether or not you have located the hidden musical note in each scene. This game had everything I look for in a game, plus a lot more! And am I the only one who totally loved the fact that the landlord's name in the bonus round is "Stanley Roper"? The few minor annoyances are virtually of no consequence, so I won't bother to mention them! 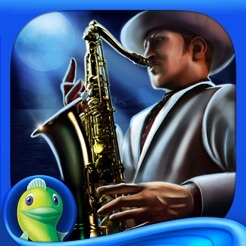 Kudos to the developers and Big Fish for a clever and witty, beautiful game. This was the most fun I have had in a long time playing one of these games, and I have played hundreds of them!